Someone buzzed the doorbell in my apartment. I was alone home. I had no idea who was visiting us. Prasha had reminded me of Mrs. Ribbe’s visit in the morning before she left for her Mothers of Preschoolers (MOPs) Bible Study; however, I forgot it, as I was working on my computer. I opened the door, and was there Mrs. Ribbe standing with a big smile in her face. She came to give me a birthday gift. She is our friends, and even more than a friend – a mother for us who continually prays for us and encourages us to stand firm in our faith. Her husband Mr. Ribbe is a good apologist and a wise man. He loves to talk about God, and is still ministering in his seventies. He has impressed me with his zeal for apologia. We have received couple of books on apologetics from him in the past. Last year, we celebrated my birthday with this beautiful and devoted Christian family. He could not come to visit us yesterday, as he had to go for his prison ministry. I missed him. Mrs. Ribbe handed me the gift and a birthday card and asked me to open it. Can you guess what was it? I think you can, because I already told you that these folks are very good Christians and stand in defense of Christianity. 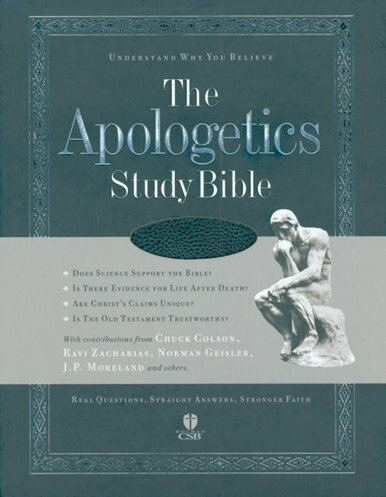 Yeah, she gave me the Bible that I was looking for – The Apologetics Study Bible. It’s very worth to put your money, if you want to know God of Bible from different perspectives. If you are skeptical about the facts of the Bible, it will help you lot. And she left an inspiring note with Scripture verses in the Bible with neat handwriting which remind me of my purpose to be in Kuyer and in the States.